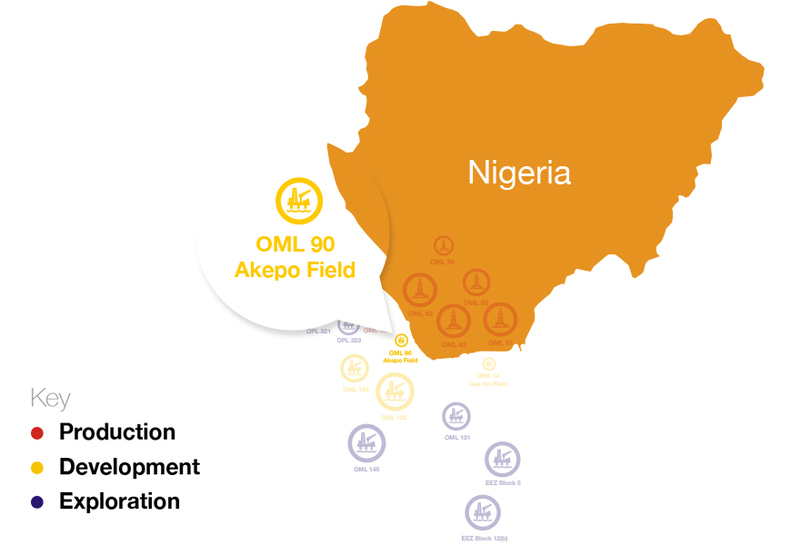 Akepo (40% WI and technical partner; Sogenal, operator, 60% WI) is located offshore, around 15 km off the Nigerian coastline at a water depth of 8 m to 10 m.
The License covers an area of 26 km² (6,425 acres). The License includes one undeveloped field, the Akepo field, and two prospects (A and B, collectively referred to as Akepo North). OER is the Technical Partner following a Financing, Technical and Management Services agreement (“FTMSA”) in 2008. Sogenal is currently the operator of the field. The discovery wells on the Akepo structure (Akepo 1 and 1st) were drilled in 1993 by Chevron. The Akepo 1st Well was later successfully re-entered by the JV, and completed in December, 2009.